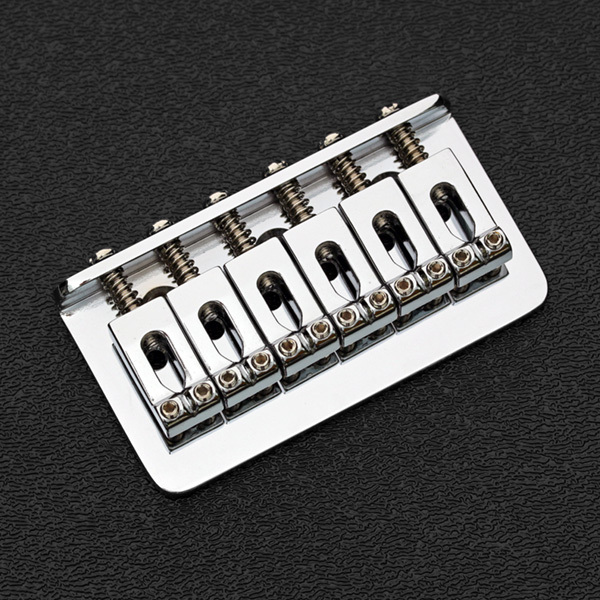 Genuine Fender® Import Strat® chrome hard tail bridge assembly. String spacing 2-1/16". Plate dimensions 2.89" x 1.54". Mounting hole spacing between two outer-most holes 1.662", spacing between two adjacent holes 0.831"
Accepts metric 1.5mm saddle height adjustment wrench. Mounting screws are NOT included, they are available here.